Now here's a board game that Dr. Neal Degrasse-Tyson could get behind. 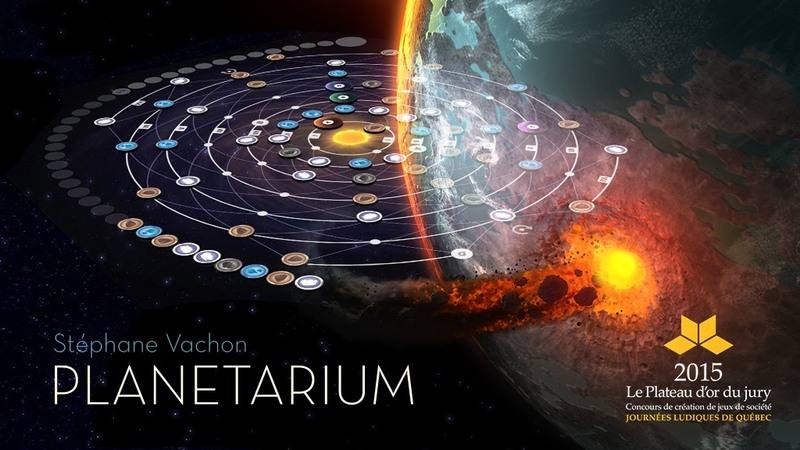 Planetarium is a board game that's got a bit different a premise than most. You're not fantasy world adventurers. You're not sci-fi mercenaries. Nope, you're clumps of dust and some gas. And that's not some statement about the hygiene status of gamers. I mean that you play as bits of gas and dust that is forming planets around a new star. As players move their planetessimals around the board the board, they'll acrete more material, growing their planet. You can also draw and play cards that will have an impact (sometimes literally) on the evolution of your planet as it works its way around the star. These cards can gain you points in order so that when the game's over, you've got the most (as well as having created the greatest planet in the new star system). The Kickstarter campaign is up and running now. They're 19/21 to their goal with still 21 days to go.